This Eid Another Salman Khan Movie is release Now In Cinemas On Friday. Movie Release On Bigger Screen Count around 4400 In India which is Highest Ever For A Bollywood Movie. The Opening Of The Movie in Friday Morning was Decent With 35 % To 40 % and After The Below expectation Morning Movie Grow Decently Till Evening But Night Shows Had Some Fall in Occupancy. 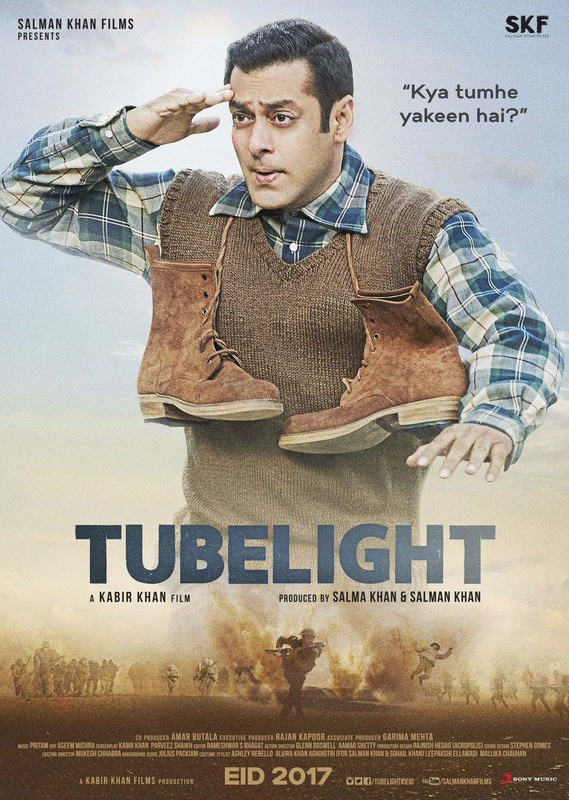 The First Day Collection Of Movie Tubelight is 21 Cr Net In India which is not superb but good for this type of genre. The Collection Of The Movie is the second highest after Baahubali 2 (40 Cr) But Occupancy Wise Third Highest After Baabhubali 2 and Raees. Eid is coming on Monday 26 June,So Collection of the movie will boost Up.